No...this is not a road paved with gold!!! 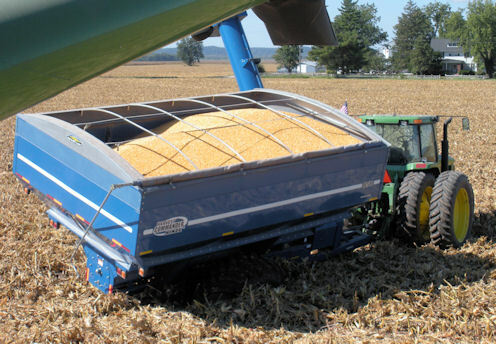 It is our corn after an accident. On the very first load to the elevator...an new employee with years of previous CDL experience lost control, overturned our truck and narrowly escaped serious injuries. 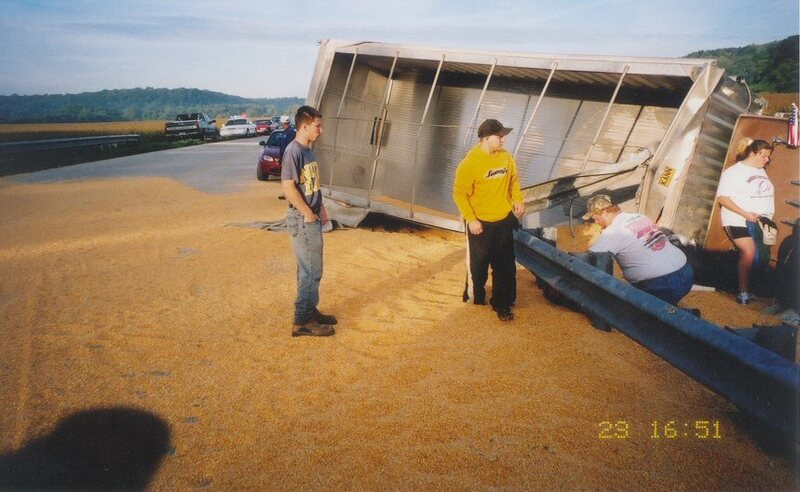 Although hospitalized, the guardrail nearly came inside the truck cab. The truck was total loss and left us short of capacity for the rest of the season. We used a grain vacuum to clean up the mess. 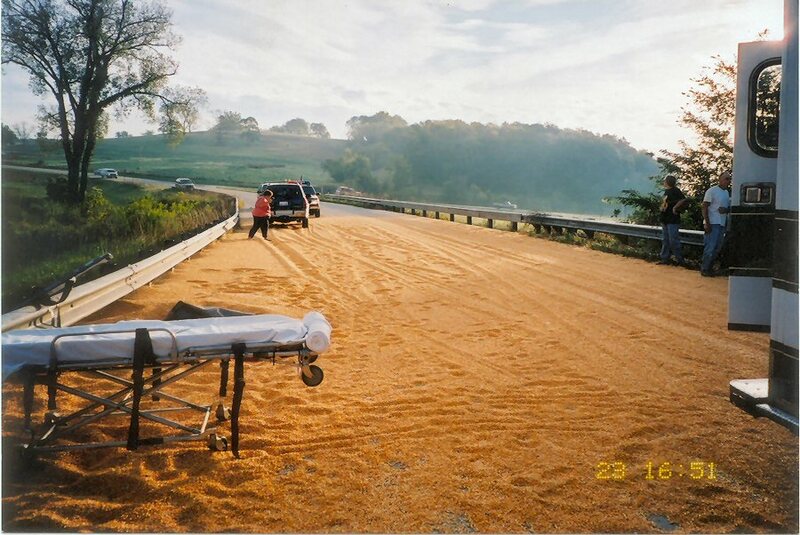 We recovered all the corn except for about 50 bushels that fell into the creek or onto the highway shoulders. 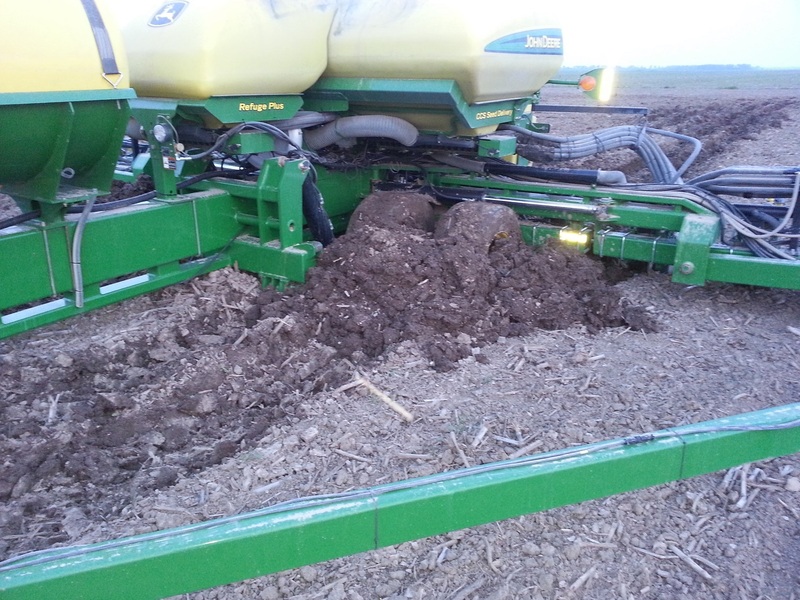 When you are planting in wet-muddy conditions and get stuck, you have a serious problem. You can never back up a stuck planter up so about all you can do is to dig in front of all 12 planter tires and pull very carefully on the tractor. 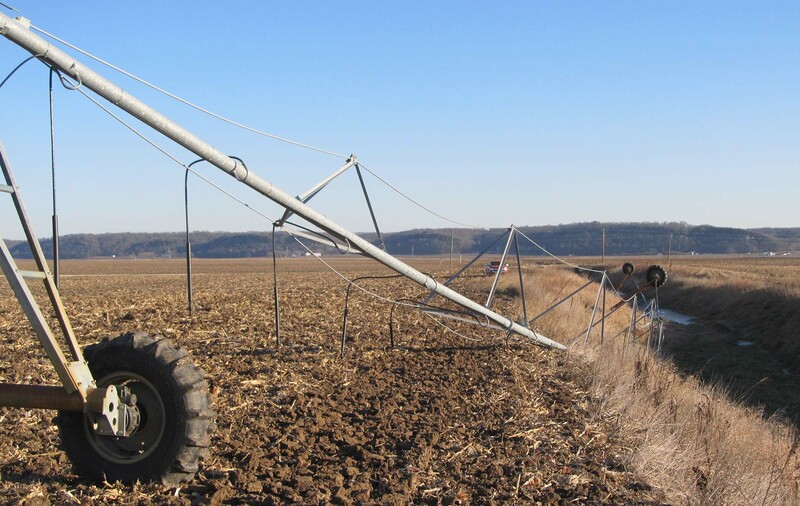 2009 was a very wet harvest season resulting in saturated soil conditions. This partially loaded cart had one wheel break through the surface and sink nearly 4 feet!!! 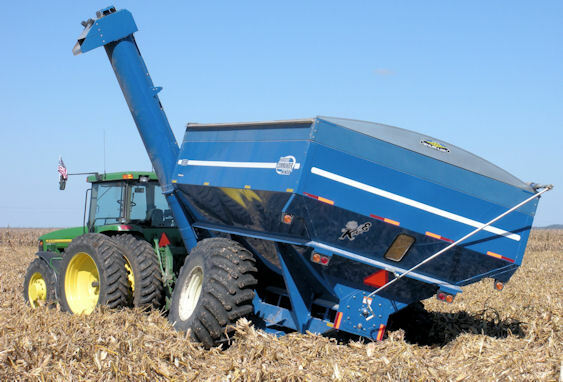 Luckily the discharge auger was on the high side so we were able to offload the corn and pull the cart out. Note the depth of the wheel track compared to the employee's height. 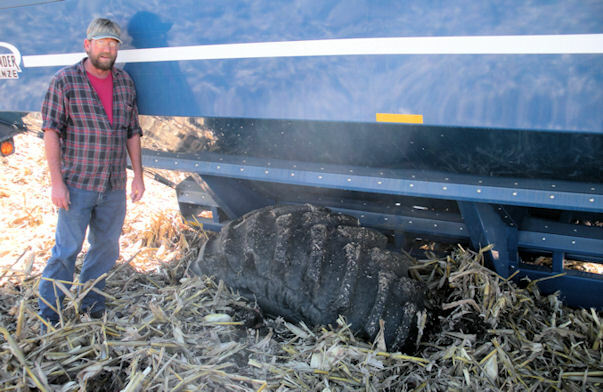 The combines also get stuck and sink so deep that we cannot lift the header high enough to clear the ground. It takes a big tractor and a strong cable to pull the machine out...being very careful to prevent any damage. Sometimes everything can get stuck at the same time!!! In this case we had to call for a heavy duty wrecker. 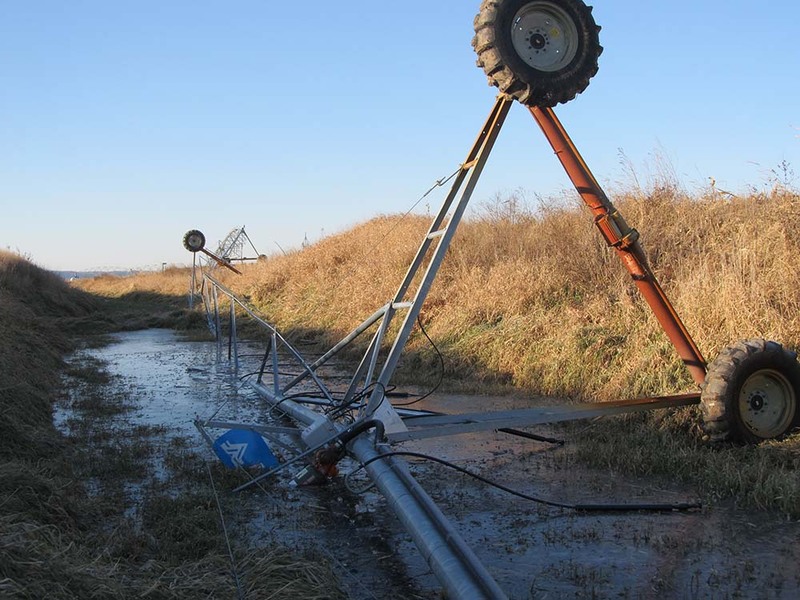 Wind from a thunderstorm collasped this farm building, but luckily did not tip the irrigation system over. 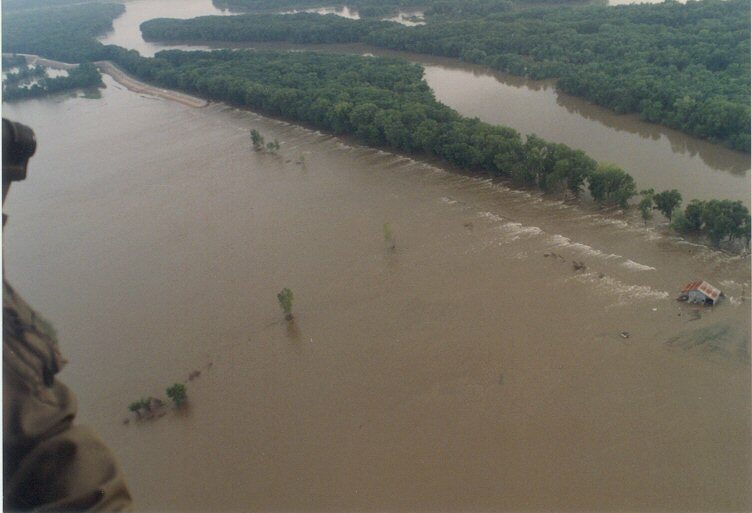 A really, really bad day happened to us on July 25, 1993 when the Mississippi River breached our levee and flooded about 46,000 acres with water up to 16 feet deep. 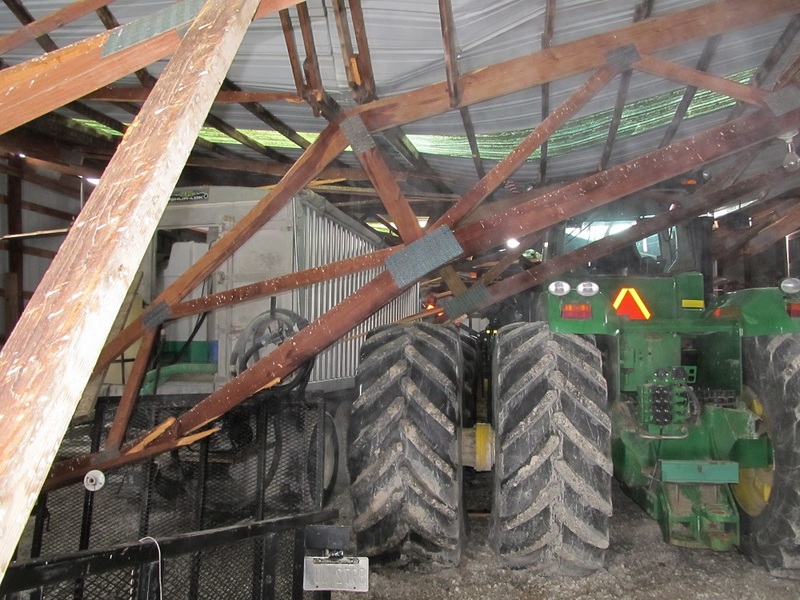 Accumulated snow from two heavy snows storms collapsed the roof on our machinery storage building. 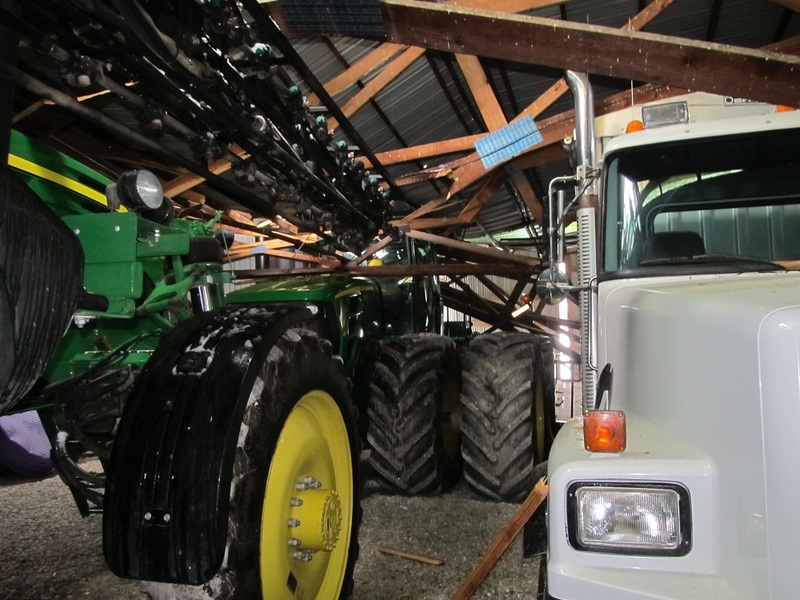 The roof collapse ruined the cab roofs and hoods on our biggest tractor and our self-propelled sprayer. The tandem truck lost a windshield and other damage. 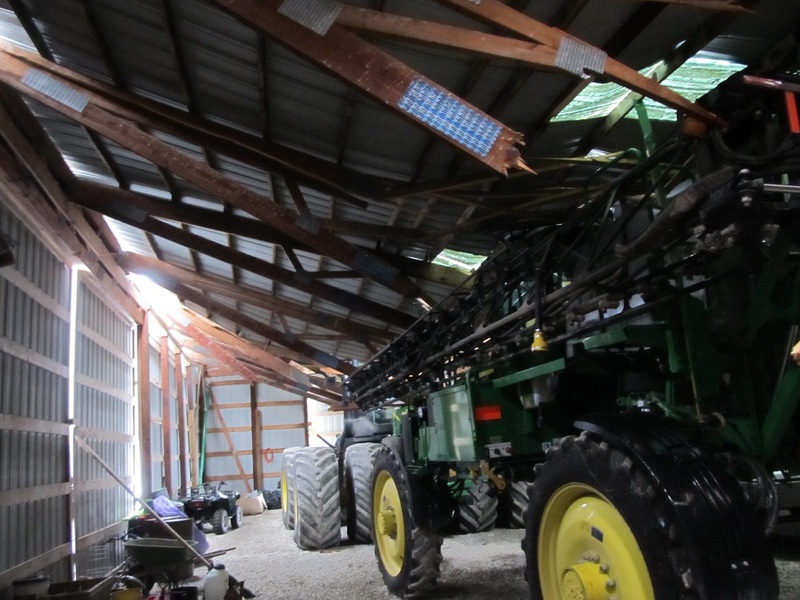 In addition to the cost of the building, the machinery damage exceeded $45,000. We hope to finish a new repair shop & storage building in November. Apparently a stuck control switch allowed this nasty fall on a cold November day!